Many drivers are avoiding speeding fines by slowing down for cameras and speeding up again once they are out of range, says a car leasing company. According to Mark Hall, of Flexed.co.uk, more than 50,000 drivers receive a court summons every year for speeding, but for every convition many more speeders are not detected. Flexed.co.uk surveyed almost 3,000 drivers about their driving habits, and found that many used simple tricks to avoid detection. They included: slowing down when approaching a known a speed camera site, then speeding up again – a tactic used by 80% of all drivers; using a sat nav that features fixed speed camera sites – 15%; and illegal coatings on number plates to avoid being photographed – 1%. A poll earlier this year revealed that more than two-thirds of drivers admitted to habitual speeding, particularly on their way to work when roads are at their busiest. "It just goes to show that drivers think they can avoid speeding fines if they're smart enough," said Hall, "But speeding's not smart – it kills." 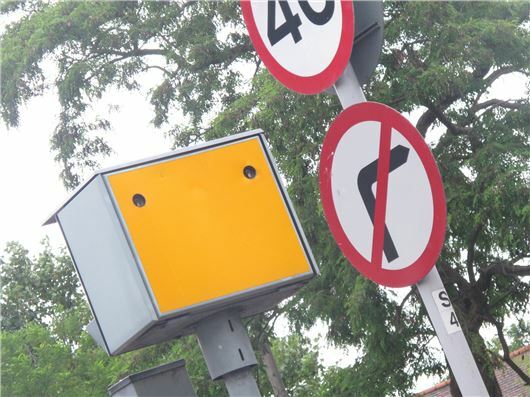 With manned mobile camera units responsible for up to a quarter of speed camera penalties, Flexed thinks there should be more emphasis on their use rather than the far more common fixed site automated cameras which many savvy local drivers have wised up to over the years. "It's clear that the 'surprise' element of the mobile camera works very well and modifies driver behaviour in areas where they operate. They show the fixed cameras for the inefficient system and lazy cash cow that they are," said Hall. "Everybody knows where their local cameras are, and they're only effective for about 100 yards." Flexed thinks that better systems should be in place to educate drivers and modify behaviour to hammer down speeding and cut the number of road deaths on British roads, such as greater use of mobile speed cameras instead of fixed-site cameras, more deterrent fines, especially for offences in 20mph and 30mph zones, making the speed awareness course compulsory for all convicted of speeding, and make an adapted version a compulsory part of new driver training, plus more average speed camera zones. "Despite years of ham-fisted attempts to get drivers to slow down, the lessons aren't being learned," says Hall. "The motivation for police authorities should be effectiveness, not raising money through cameras. "We firmly believe education in partnership with targeted punishment is the best way forward." "Despite years of ham-fisted attempts to get drivers to slow down, the lessons aren't being learned," says Hall.